Budweiser is investigating the process of malting barley onboard the International Space Station. It’s a busy week on the International Space Station (ISS), with yesterday’s successful Soyuz launch bringing three new crew members—Anne McClain of NASA, David Saint-Jacques of the Canadian Space Agency, and Oleg Konenenko of Roscosmos—and the upcoming launch of SpaceX’s 16th Commercial Resupply Services (SpaceX CRS-16) mission, currently slated for tomorrow. SpaceX’s Dragon spacecraft will carry about 300 kilograms of supplies and research to the space station, including more than 20 ISS National Lab investigations. 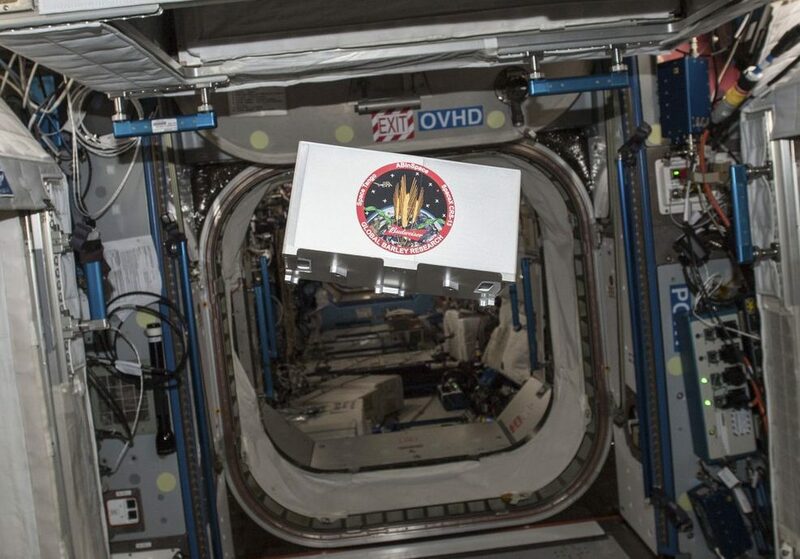 One of the investigations on this mission is the third in a series of experiments from Budweiser focused on studying barley onboard the ISS National Lab. Barley, the fourth largest cereal grain grown in the world, is used in a variety of products—from animal feed to bread and, of course, beer. 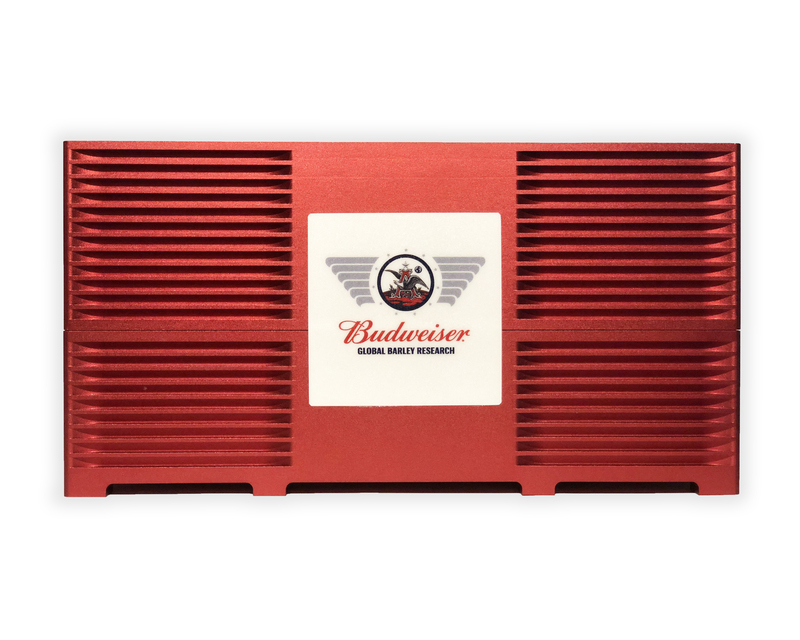 Budweiser's investigation examining barley germination onboard the International Space Station. In Budweiser’s previous two experiments, which launched to the space station on SpaceX CRS-13, the research team exposed barley seeds to microgravity and germinated different strains of barley onboard the space station. The goal is to observe changes in gene expression and germination to gain insight into how different cultivars (individuals of the same plant species that possess genetic differences) may be better suited to handle stressful environments back on the ground, such as drought conditions or extreme temperatures. Barley germinating on the ISS National Lab as part of Budweiser's experiment that launched on SpaceX CRS-13. 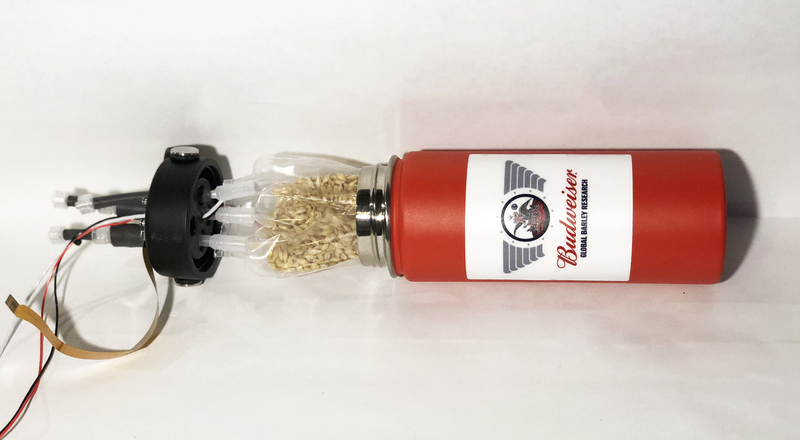 Budweiser's malting payload ready for launch on SpaceX CRS-16. Enclosed in this 9U CubeLab is a miniaturized, autonomous malting system designed to examine the steeping, germination, and kilning process associated with malting barley. This time, Budweiser is looking at malting in microgravity. 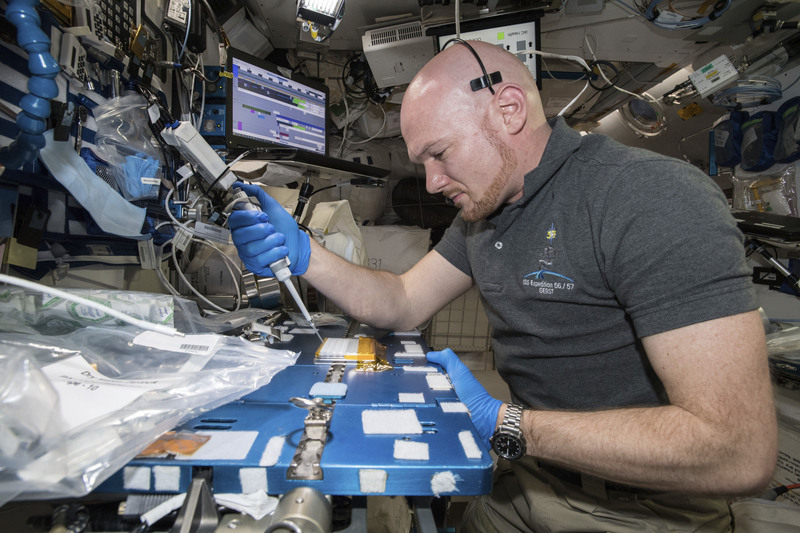 The research team is examining the steeping (rapid hydration), germination, and kilning (drying) processes associated with malting barley and will compare barley malted in microgravity with ground controls. Onboard the space station, the malting process will be automated inside a 9U CubeLab, from ISS National Lab commercial services provider Space Tango. The results from Budweiser’s investigation could help the company develop new malt barley varieties that are more tolerant to extreme stress environments. Knowledge gained from this experiment could also be valuable to the broader agricultural community to help improve the growth of barley crops on Earth. To learn more about other ISS National Lab investigations that are part of this mission, see the SpaceX CRS-16 Mission Overview.